There's a bad vibe in the air. Every Vampyre in Manhattan feels it in their bones... and in their blood. The mother of all gang rumbles is brewing between the divided Clans of the city's undead. A battle royal for more turf that will tear the island from stem to stern. And just his luck, Joe Pitt is smack in the middle of it. A rogue Vampyre who shunned Clan life, Joe's his own man. Kind of. Thing is, there's certain people have a claim on his talents. When they need someone who's ...expendable, they call on Joe Pitt. They're calling now. With war drums beating from the Hudson to the Harlem River, Joe's been dispatched into the uncharted territory of Brooklyn to seal an alliance with the Freaks - a Clan who more than live up to their name. But across the bridge, things go south with savage swiftness, as Joe gets swept into a murderous family feud between crazed Clans that will paint the borough scarlet from Gravesend to Coney Island. 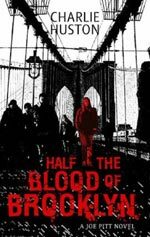 Half The Blood of Brooklyn is the third Joe Pitt novel by Charlie Huston. While this novel is a self-contained stand alone story I’d recommend reading the previous novels (Already Dead and No Dominion) first. Characters and situations from the previous novels return to haunt Joe in this book and understanding the overall story so far will give context and meaning to a lot of Joe’s actions in this story. For readers unfamiliar with the Joe Pitt novels here is some background. All the novels so far are set in Manhattan – the island is divided into various vampyre Clan territories and the vampyres are extremely territorial. Think of gang warfare where the currency is blood and the participants all have a huge capacity to inflict pain and violence while simultaneously being able to withstand a large amount of physical damage and you’re somewhere in the right ball park. Still, if it bleeds you can kill it - and Joe certainly knows how to make vampyres bleed. Written in first person, the novels are narrated by their vyrus infected protagonist, Joe Pitt. Joe is a vampyre and a PI. Actually, the title “Private Investigator” implies that Joe has an air of respectability that he frankly doesn’t have, and doesn’t aspire to either. A more accurate description of his role would be as an Enforcer for The Society, a liberal left-wing vampyre Clan. He does their dirty work, which usually involves bringing pain and death to vampyres who don’t follow The Society’s rules. From my description you might get the impression that Joe isn’t a nice character and that would be correct. He is however a well written character that you can’t help but like and empathise with. As he gives pain and death, he receives pain in return, getting beaten and shot while carrying out jobs that are never as straight forward as they first seem. All the Joe Pitt books are written in the noir style and while Joe Pitt may not really be a PI his creation owes a lot to the hardboiled detective thriller. Half The Blood of Brooklyn is the novel you would get if Raymond Chandler had written about vampires rather than a human gumshoe. Half The Blood of Brooklyn is tightly written with non-stop violence and action from the very first page. The characters populating the novel are brilliantly diverse and not a single one of them conforms to any of the typical vampire stereotypes. 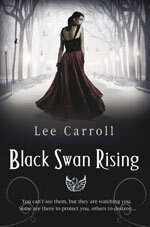 Reading is believing and although some of the characters are downright weird they are still believable. Gory, bloody and violent, Half The Blood of Brooklyn is a vicious treat for readers who are tired of seductive vampires wearing velvet trousers sighing over their vampire angst. Charlie Huston kindly consented to be interviewed by LoveVampires. Read Charlie's interview. Check out Charlie Huston’s web site to find out more about Joe Pitt and read excerpts from his novels. Plus there is information on the other books written by the author.